Mexico attracts millions of visitors each year and is an extremely beautiful country. It offers visitors diversity and the choice of areas to visit is great. It is fairly easy to reach Mexico by several different modes. You should remain aware however that if you are going is to drive in Mexico, you need to buy Mexican car insurance before you leave your home country. The rules regarding Mexican auto insurance are particularly strict, as are the rules regarding vehicle accidents. In Mexico, when you are involved in an accident, you are considered to be guilty until proven innocent. If you do not have insurance, you could find yourself locked up for a protracted period of time. All you have to do is find an online Mexican auto insurance provider and buy your selected policy. You can purchase your Mexican auto insurance at this MexInsuranceStore.com URL. It is possible for you to buy Mexican car insurance at the border, but this is an expensive option and you will not be offered the range of services as you would be offered online. This colonial city is situated in the southern part of Mexico. It lies in the valley of the Sierra Madre mountain range. The city was occupied during ancient times and the Spaniards first arrived in the area during the 1500s. Among these were the Dominican friars who were responsible for the multitude of exquisite churches. The legacies of the colonialist and the Prehispanic eras combine to make this city an extremely interesting place to visit. Puebla is located under two hours’ drive from Mexico City. It offers visitors an interesting historical perspective, delicious cuisine and beautiful architecture. This was the site where the landmark battle of 1862 took place and marks the 5 de mayo yearly holiday which is celebrated by all in Mexico. There is the Africam Safari park to visit close by. 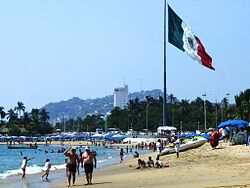 Puerto Vallarta is located in the largest natural bay in the country, the Bay of Banderas. It is a stunning beach destination in the Jalisco state. The city combines the attractions of a traditional Mexican city with the conveniences of a modern resort. This beautiful colonial city is situated in the southern state of Chiapas. It offers visitors cobble-stoned streets, interesting colonial architecture and houses with slanted red tile roofs. The city has a large indigenous population which gives it a rich cultural heritage combined with a colorful atmosphere. If you want to learn about the Mayan culture, this is the city to visit. You will also be able to explore the state from this base. This city is called the colonial jewel of Guanajuato state. 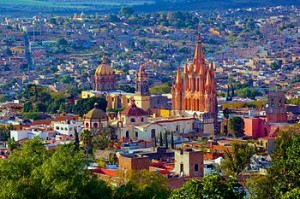 San Miguel de Allende is blessed with a mild climate, interesting colonial features and thermal springs. It is situated in the central region of the country and played a huge role during the War of Independence. It has become home to a large expat community. 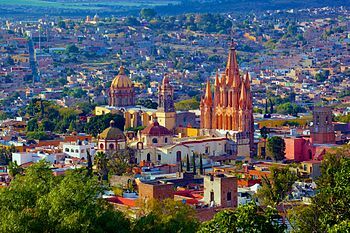 This is the silver capital of Mexico, which is placed an easy two hours from Mexico City. It has whitewashed buildings with red roofs of tile, and cobblestone streets. This city based in the Riviera Maya used to be a trading port. You can visit the archaeological ruins which are on a cliff that overlooks the Caribbean Sea. Save by comparing Mexico insurance rates. 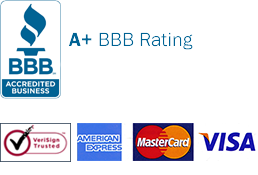 Through the quoting system, you can be provided of the right plan that matches your budget. The best price to coverage comes when you search for it. It is suggested that all drivers travelling to Mexico must buy Mexican auto insurance. If you forgot to buy online, your last option is to buy it at Mexico border. Car insurance is a requirement of Mexican law. Do you drive to Baja? It can be done daily. But make sure to check over your Mexico insurance carefully before leaving. Your driving hours will be okay then. It’s important to bring with you your Mexican insurance policy. While you may not want to drive to less traveled roads, you can’t help but drive on those roads. So always bring your protection. Choosing a long-term Mexico auto insurance policy while in Mexico offers the best opportunity to make the most of your insurance. Your pocket gets protected in case of unforeseen threats against you and your car. You can pick a coverage option from the leading car insurance provider. For more security, they offer packages with extended length of coverage. Your travel is safe with Mexican Insurance Store. Remember this: you must follow some pre-travel tips once you decided to experience a fun-filled family trip in Mexico. Serious penalties like jail time are among the consequences of driving without Mexican insurance. Speaking of beaches, San Felipe has a stunningly beautiful destination. It has clear, cold water temperature during summer time. Perfect to refresh the body!